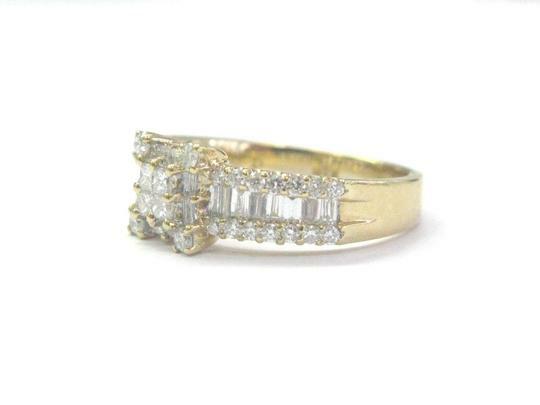 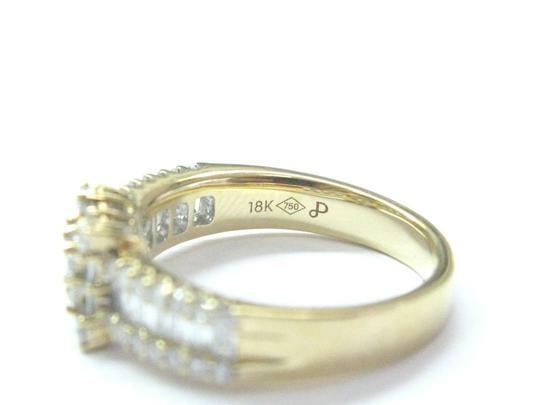 Here is a Fine Multi Shape Diamond Yellow Gold Ring . 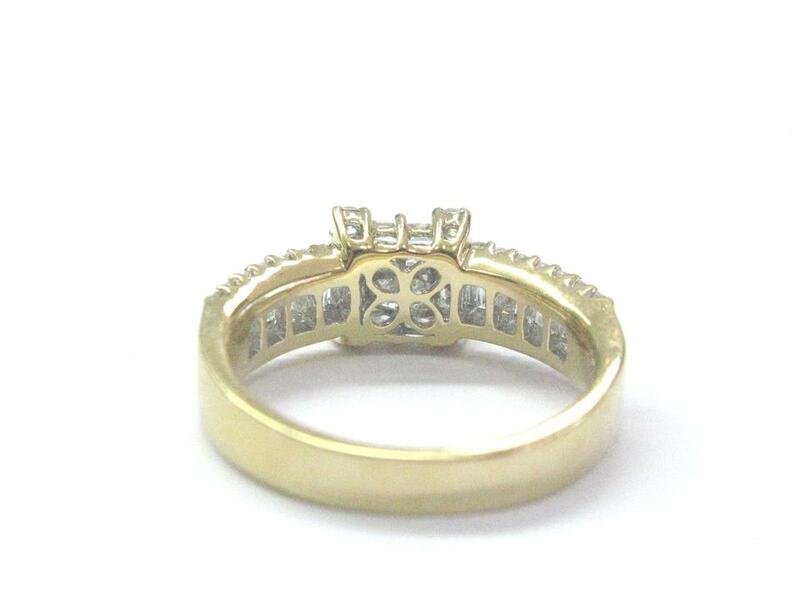 Made from Solid 18Kt Yellow Gold and weighs 5.5 grams. 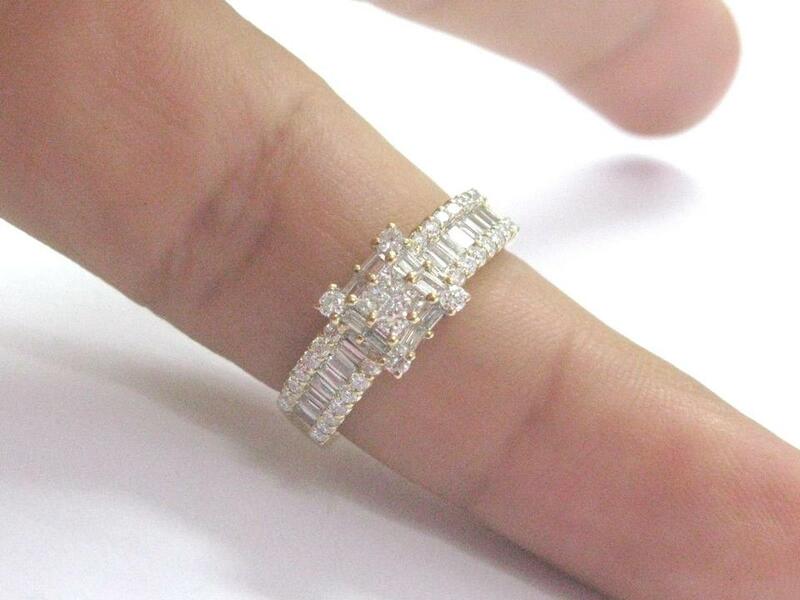 It holds 1.05Ct of Natural Baguette, Round & Princess Cut Diamonds that are G Color VS Clarity. Ring is currently a size 7 which can be sized for FREE Upon request. 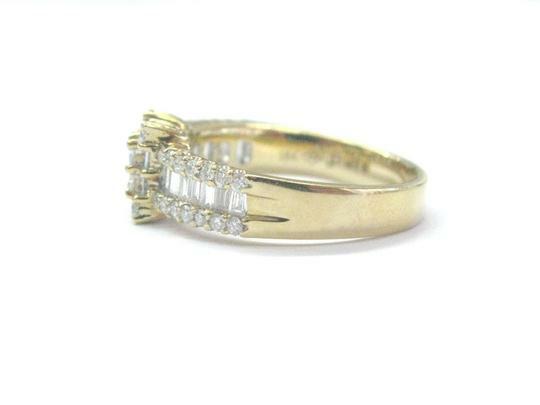 Across the top it is 7.6mm wide. Very well made, Excellent Workmanship.